The Comfort Inn and Suites Lookout Mountain hotel in Chattanooga, TN near Ruby Falls will get you rested and ready for anything. This hotel is near other attractions like the Tennessee Aquarium, Creative Discovery Museum, Raccoon Mountain Caverns, Tennessee Valley Railroad, Tennessee Riverpark, Bluff View Art District and the University of Tennessee at Chattanooga. 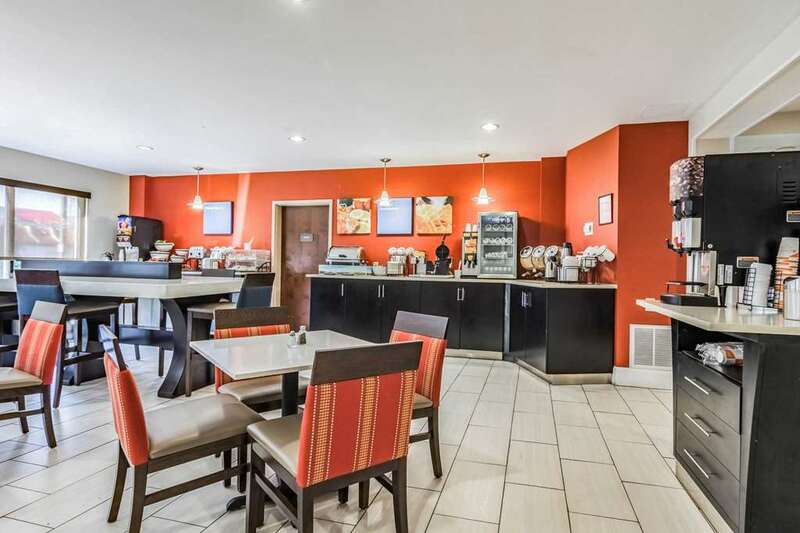 Amenities include free WiFi, a free weekday newspaper, free parking, a fitness center, an indoor heated pool, free hot breakfast, pillow-top mattresses, refrigerators, microwaves, TVs, coffee makers, hair dryers and more. Also, earn rewards including free nights and gift cards with our Choice Privileges Rewards program.